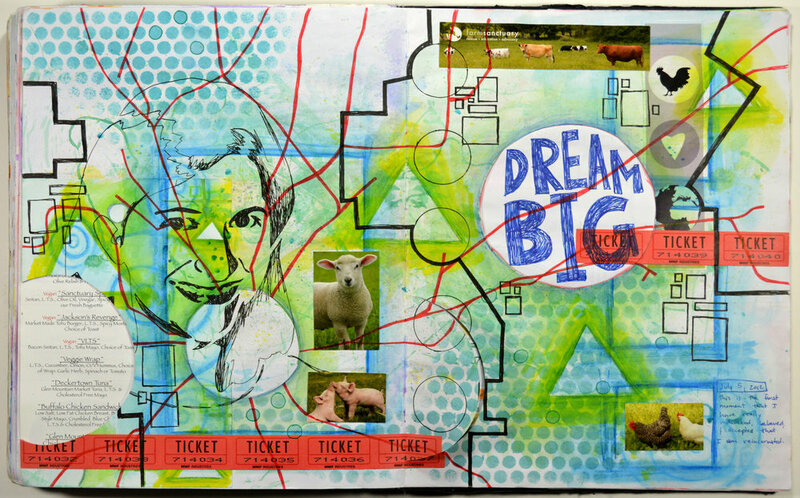 I am super excited to be returning to Asheville in May to teach a two-day mixed media workshop at 310 ART. I'm looking forward to heading back! I love Asheville, and 310 ART is an awesome place to teach. Mapping the Journey is all about using life and the idea of making to create layered pieces of art. I can't wait! I hope that you can join me in Asheville. Last week was a rather busy week, and leading two workshops at local libraries as part of Teen Read Week added to the busyness, but also provided a lot of fun. On Tuesday night, I worked with a few participants in a visual journal workshop at Rust Library in Leesburg, VA. I shared my journals and how I use them, and then I led the participants through some techniques and ideas that I use in my journals. Everyone worked on a couple of pieces of mixed media paper and created pieces that incorporated watercolor paint, collage, watercolor pencil, and writing. It's always fun to get messy and creative. On Wednesday night, I worked with a slightly larger group in a mural painting workshop at Cascades Library in Potomac Falls, VA. Working on a primed piece of canvas, we began by painting in shapes and lines of color, and then added in some collage from newspaper and magazines. The participants were then asked to think about some of their favorite activities and some adjectives to describe themselves. We then incorporated some of the ideas and words to finish up the mural. Eventually the canvas will be hung in the library. Again, it was messy, creative, and fun. Check out the finished mural at the top of the post! Although both workshops had a small number of participants, I always love connecting with people through art, and I thoroughly enjoyed myself. I'm hoping to do more in the future! The Journal Fodder Junkies Daily Challenge Part 2 Releases This Friday. The Journal Fodder Junkies Daily Challenge Part 2 is coming! It will be released this Friday, September 1 in the shop. This new part contains 30 new daily challenges to get you through September, and it contains three pages of journal page galleries. Each gallery page contains two two-page journal spreads. I can't wait to share it with you, but I'll have to wait until Friday. 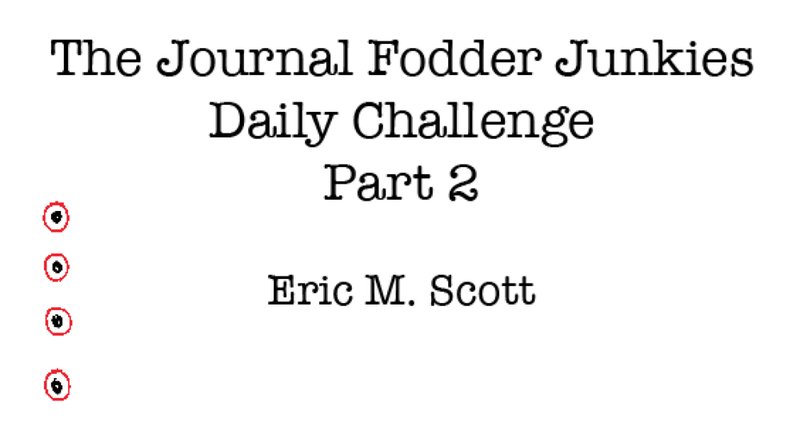 The Journal Fodder Junkies Daily Challenge Part 2 Coming Soon. Thank you to all who purchased Part One of the Journal Fodder Junkies Daily Challenges. If you haven't, head over to the Shop to get your downloadable PDF now. I am currently working on Part 2, and it will have 30 brand new daily challenges, and maybe a small surprise! It will be released in just a week and a half on Friday, September 1, 2017. I can't wait to share it with you. With teaching, launching a revamped website, finishing the first in my ebook series, and just simple day-to-day things. I've gotten a few weeks behind on the daily challenges. Over the past few days, I've been trying to catch up, and I'm slowly getting back on track. If everything goes well, I'll be able to post two or three Journal Fridays this Friday. Stay tuned! I am pleased to announce that my latest endeavor is ready for release, and it is officially on sale now in the shop. 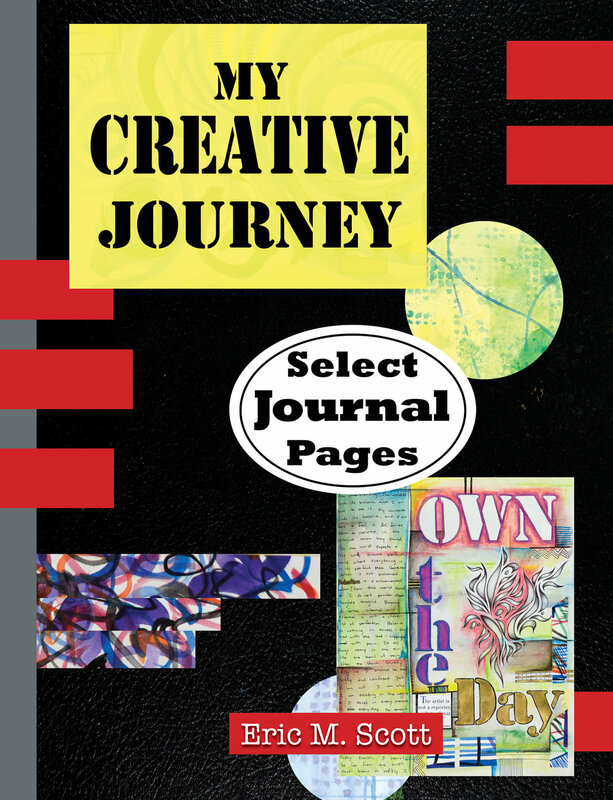 I've been working on The Journal Fodder Junkies Daily Challenge since October of last year, and my original plan was to self publish it as single book through Amazon's Createspace. Writing took much longer than expected, so I decided to publish it as a series of ebooks. I really wanted to have something ready for all of the teachers as they go back to school. I'll be releasing a new part of the series each month over the next year with 30 or 31 challenges. Each ebook will be only $5! One of the big advantages of the ebooks, is that each challenge can have it's own page. I envision people printing the book with 2 or 4 pages per sheet and making their very own set of challenge cards that they can use themselves or with their students. The goal of the series is give artists and visual journalists a daily creative nudge, but it can be used at anytime when you and your art needs a spark. Part 1 is now ready! I am looking forward to sharing the first 31 challenges to get you through August. To purchase or for more info, check out the shop!